EMD propulsion engine, 1 Caterpillar diesel generator, 1 speci? c company needs. Cummins diesel generator Biggest Success: Online academic degree program. 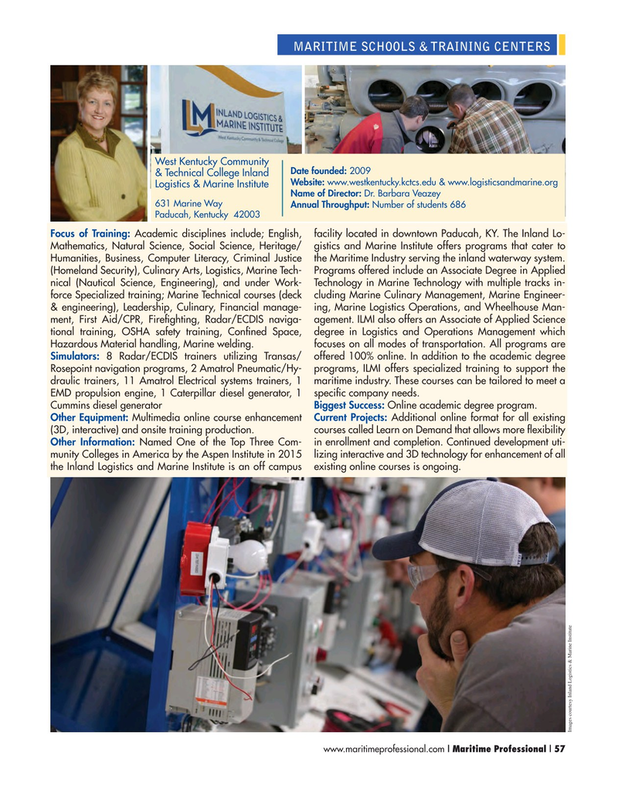 Other Information: Named One of the Top Three Com- in enrollment and completion. Continued development uti- munity Colleges in America by the Aspen Institute in 2015 lizing interactive and 3D technology for enhancement of all the Inland Logistics and Marine Institute is an off campus existing online courses is ongoing.